Anyone else see this? Their web site is conveniently down right now. Checking What is the IOS software you are using? Mine seems to work fine without forcing me to select all cars. I’m running iOS 11.3.1. It’s a private phone, no enterprise software installed, not rooted or anything. It’s possible they broke something with 22.20. I’ll get in touch with them, just as soon as their web site comes back up. Unbelievably, it’s still down. 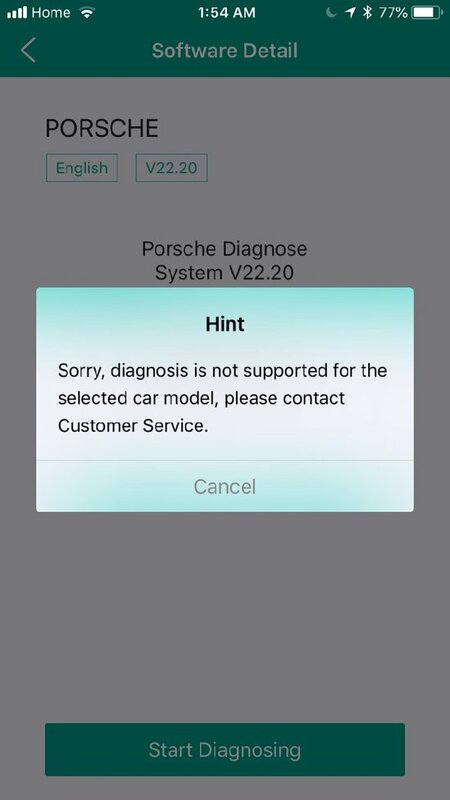 I had to select all 10 (it’s 10 now) features right away BTW, wouldn’t let me proceed with just Porsche.